Individuals and couples come to egg donation with varied experiences. Some may have gone to great lengths and extensive treatment with diminishing odds to ensure that “they did everything they could” to have a genetic child. 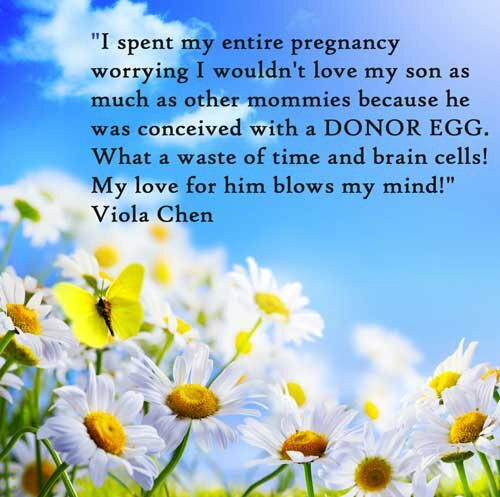 Others may have never even had the opportunity to attempt treatment before discovering egg donation is the only option. Most people express feelings of loss and sadness when faced with the decision to use a donor. Labeling this experience a grieving process helps to make sense of these feelings, profound and invisible to others, and unacknowledged by established societal rituals. Grieving can take time, far longer than most realize. Preparation for treatment using an egg donor includes becoming “ready” to move forward, both physically and emotionally. Counseling and support groups can provide a rich opportunity for emotional support and decision-making. People who participate often express feeling less alone. They aren’t ” the only ones” facing these decisions, and find the chance to share (often through tears and laughter) with others who “get it” normalizes the emotional journey leading to egg donation. Talking about these feelings brings a sense of relief, new hope and energy to not only accept egg donation, but to embrace it as the path to creating a child. After years of seeing patients during this time, I find that early in the much hoped for pregnancy, the focus on the donor tends to recede. Immersed in the immediacy of the pregnancy, the decision to use a donor slowly moves far in the past.